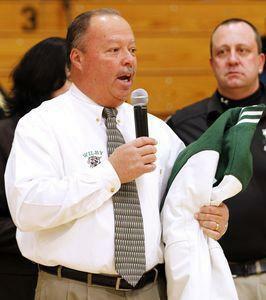 Longtime Wilby High School teacher and athletics director George Tirado passed away on Friday. Photo by Christopher Massa – Republican-American. The CIAC is deeply saddened by the passing of longtime educator and athletics director George Tirado. He passed away at 59 after a battle with cancer. Tirado taught at Wilby High School for 35 years, and served as the athletics director and coach of several sports during his tenure. He was also a great contributor to the CIAC, including serving as site director for numerous events held at Waterbury’s Municipal Stadium. There will be a wake held on Wednesday, with the funeral services on Thursday. The Waterbury Republican-American covered his passing, and Joe Palladino shared his thoughts on Tirado’s legacy.